The AISTech 2018 Conference Proceedings contain papers from the technical sessions at steel’s premier event of 2018. These papers offer a wide range of technological advances in the iron and steel industry, including everything from coke production to continuous casting to sensors and automation. This conference was co-sponsored by AIST and the Advanced Steel Processing and Products Research Center (ASPPRC) at the Colorado School of Mines. Topics include: microalloying-related advancements for automotive bar and forgings, heavy section structural beams, steels with improved machinability and other performance attributes, fundamental metallurgical and microstructural developments and process concepts, including a variety of thermomechanical processing aspects. This collection of international papers from AIST's 2nd International Symposium on Recent Developments in Plate Steels, held in June 2018 in Orlando, FL, USA, highlights the metallurgical advancements in steel plate production, testing and application. The symposium gathers advanced, research-based papers by leading experts addressing plate production processes including steelmaking and casting, hot rolling, accelerated cooling and direct quenching, as well as the latest testing techniques for various plate grades. 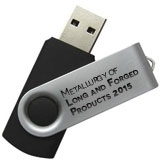 The AISTech 2015 Conference Proceedings USB drive contains papers from the technical sessions at steel's premier event of 2015. These papers offer a wide range of technological advances in the iron and steel industry, including everything from coke production to continuous casting to sensors and automation. The complete proceedings from the 2016 Materials Science and Technology Conference available on one searchable CD-ROM. Included are manuscripts from symposia in diverse themes: iron and steel, biomaterials, ceramic and glass materials, electronic and magnetic materials, energy issues, fundamentals and characterization, green manufacturing and sustainability, materials-environment interactions, nanomaterials, processing and product manufacturing, and surface modification. 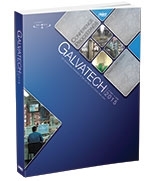 A 3-volume book set with nearly 400 papers from the technical sessions from AISTech 2017 - the Iron & Steel Conference and Exposition. The papers offer a wide range of technological advances, current practices and future improvements in the iron and steel industry, including all facets of the steel industry from raw materials to transporting finished products, and all including everything in between. 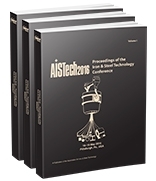 The AISTech 2016 Conference Proceedings 3-volume bookset contains papers from the technical sessions at steel's premier event of 2016. These papers offer a wide range of technological advances in the iron and steel industry, including everything from coke production to continuous casting to sensors and automation.